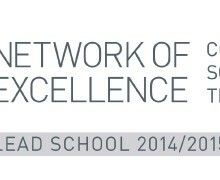 Prendergast Ladywell School is now a Lead School in the Network of Teaching Excellence in Computer Science! We will be supporting Computer Science teachers within the Lewisham Borough through the Computer at Schools Hub Lewisham. The CAS Hub Lewisham launches on 23 November 2015 where we will showcase the BBC:MicroBit devices that will be available to all our Year 7 students later this year. We are thrilled to offer our students these exciting opportunities in an innovative environment that will benefit them in their future.